China has offered Pakistanis candid advice for putting their country back on the right track. It wants its neighbour to focus on stability, long-term planning, infrastructure development and education. China’s leadership is keen to make the China-Pakistan Economic Corridor (CEPC) a roaring success. In the bargain, it expects it to become a role model for its ‘one-belt, one-road’ initiative, which would eventually link more than 60 countries. For the success of CEPC, the Chinese leadership has been urging political leaders of Pakistan to forge unity and build consensus though parliament, deterring all attempts to sabotage what is just the start of a long road to economic cooperation based on shared prosperity between the two countries. This was the crux of the eight-day tour of a Pakistan Peoples Party (PPP) delegation to China this month. Led by journalist-turned-politician and former diplomat, Sherry Rehman, the 18-member delegation also included journalists. The delegation visited Urumqi, the capital of China’s province of Xinjiang, Wuhan, the capital of Hubei in central China and Beijing. Part of the PPP and CPC annual exchanges, there were exchange of views with senior Chinese dignitaries, especially on issues linked with CPEC during the tour. “We enthusiastically believe that CPEC will be successful and becomes a role model for the one-belt, one road (initiative). We want to CPEC to succeed, symbolising our enduring friendship,” remarked Zheng Xiaosong, the vice-minister of International Department of the Communist Party of China, showing their seriousness at the highest level. The successful execution of CPEC will ensure equal benefits to the people of both countries, Chinese side believes. For them it is a pilot project of the one-belt, one road, carrying huge significance for China as well. 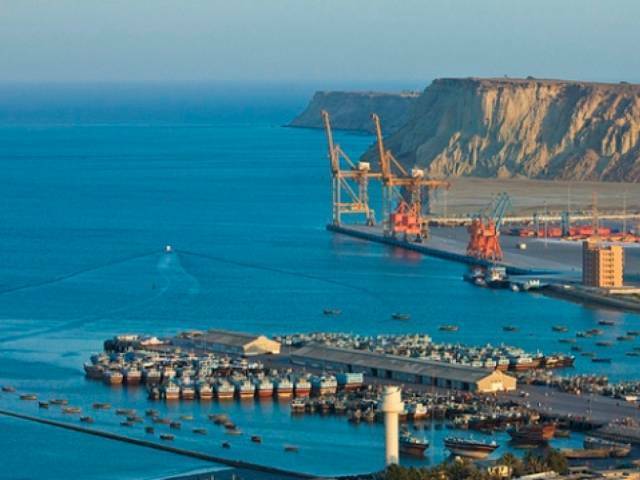 CPEC is a short- to- medium-term plan spanning a period of almost 10 years while the long-term plan is being devised by both countries, according to insiders. This can yield benefits far above $46 billion from 2025, if Pakistan succeeds in implementing the initial plan. “The CPEC is early harvest; you should endeavour for a bumper crop.” This was the response by Su Ge, the head of China Institute of International Studies (CIIS), a prominent think-tank of China when members of the Pakistani delegation called for equitable distribution of CPEC projects across all regions in Pakistan. The message from Chinese side was clear; let the initial projects get executed and these would serve as catalyst to more Chinese investment in Pakistan. In China, many industries will be in surplus and investors would be looking opportunities for investments in other countries. Pakistan can tap this opportunity given deep friendship between the two countries. “Every region in Pakistan will eventually benefit. As cooperation increases between two sides, there will be more projects,” said Prof Dong Manyuan, the vice-president of CIIS. He likened the current political bickering in Pakistan over CPEC with a similar situation in his country soon after China’s opening up in the late 1970s. Normally very eloquent, a number of Chinese officials expressed concern over political polarisation in Pakistan over CPEC. Despite state-to-state sovereign guarantees, still many in China have concerns over security issues in Pakistan. Some Chinese officials explicitly expressed them during an informal chat. “Some countries are saying something about CPEC, we sincerely believe PPP will exert its efforts to make it successful so other countries do not have opportunity to attack this project,” was the response of Zheng Xiaosong when Sherry Rehman took up the issue of alleged Indian attempts to create a distraction. “Most important concern of Chinese investors is security. When media reports any (terrorist) attack in Pakistan, families of these investors ask them not to go (not to invest in Pakistan). Some countries will exploit this to attack CPEC,” he said. He immediately clarified that he was not talking about attacks on Chinese nationals, but the general law and order in some parts of Pakistan. The Pakistani delegation tried to assuage Chinese fears and said civilian and military leadership were aware of the security concerns and special task forces were being set up at federal and provincial levels for protecting Chinese workers. The delegation head, Sherry Rehman, at one point diplomatically conveyed to the Chinese side that their investors will be getting unprecedented returns on their investment. The Chinese leadership also advised their Pakistani friends to put their country on the road to development. The ingredients, they said, were political stability, clear direction, long-term planning, infrastructure development and education. “You should have a clear and right direction. We have five-year plans, but we do not plan for short periods only. We have 50-year plan (in place as well). Whether you are in power or not, this is how you should plan it. The second element is infrastructure. If you want to get rich build roads,” Zheng said. Citing examples from his country, he said since China’s opening in the late 1970s, a huge network of road and rail infrastructure spanning thousands of kilometres has been laid across the country. Now almost every town in China has access to high-speed road (highway type) within a 15-minute drive. “Then comes education,” he said. “If you don’t have education, you cannot build your country. If you invest in it (education) now, you will see it bearing fruit after 10 years,” remarked the Chinese leader during a luncheon meeting at the conclusion of the tour. Published in The Express Tribune, September 26th, 2016. I'm curious to find out what blog platform you are working with? I'm experiencing some minor security issues with my latest website and I would like to find something more secure. Do you have any solutions?